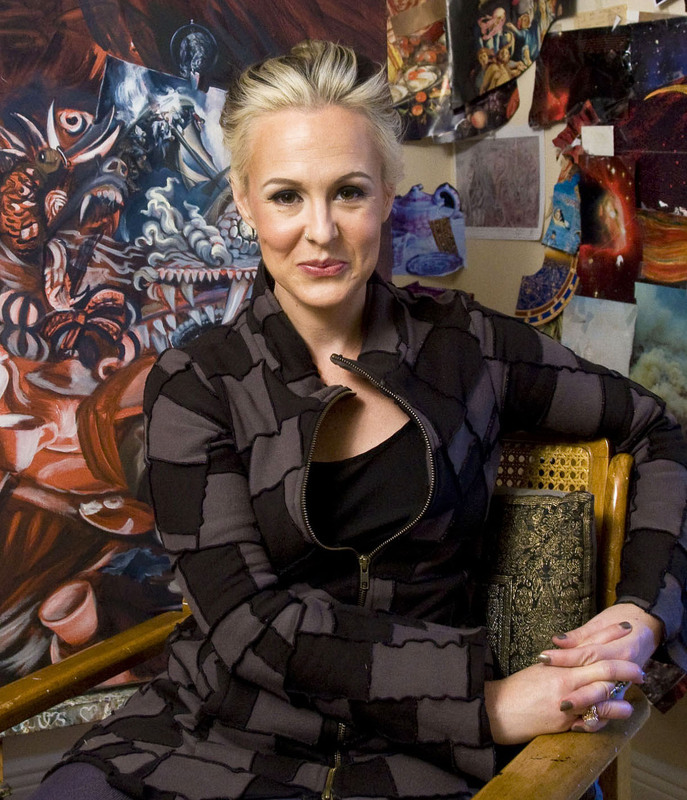 The Jung Center, in Houston, Texas will open the exhibition, “Gospel of Sophia,” a collection of paintings by FSU Associate Art Professor Carrie Ann Baade. The Opening Reception is Saturday November 3, 2018, from 5 pm to 7 pm, at the Jung Center, located at 5200 Montrose Blvd, Houston, TX 77006, in the Museum District. “Gospel of Sophia” features the mystical and celestial side of Baade’s works with angels and themes exploring apocryphal and Biblical subject matter. Through her art, she weaves religious and mythological narratives with her own autobiographical story to examine the past in a contemporary context. Carrie Ann honors the timeless, archetypal nature of our myths, while altering the stories to keep them alive. Her work revolutionizes ideas of humanity, rejecting a rational vision of life in favor of one that asserts the value of the subconscious as she sees magic and strange beauty in the unexpected.